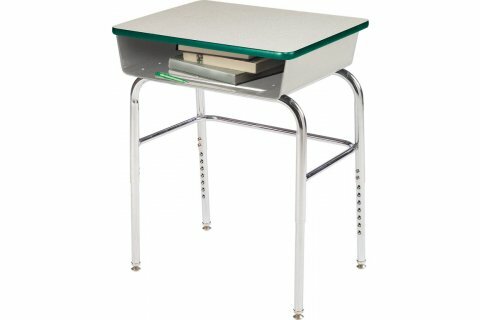 These school desks feature 18-gauge, 1 1/4" diameter steel frame with under-desk stability bar for superb strength. 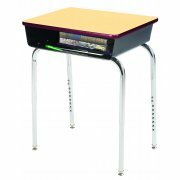 Colored T-mold edging on these student desks adds vibrancy to your classroom. 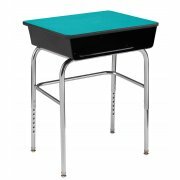 The desks are height adjustable to conveniently suit your individual students' needs. 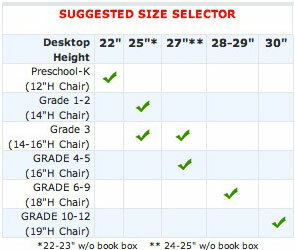 Spacious Desktop: 18" x 24". 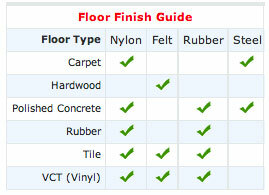 Book Box: 22" x 16 3/4" x 4 1/2".